Khabar Naak Latest Full Episode 23rd November 2014, Watch Geo News Khabar Naak Latest Full Episode 23rd November 2014. 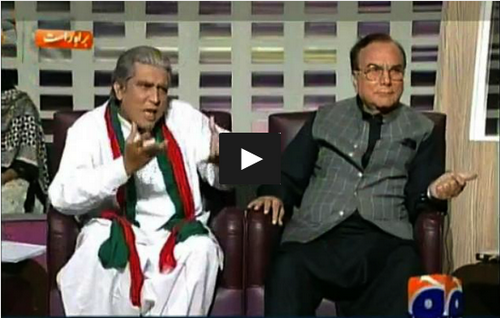 PPP Punjab president Manzoor watto and PTI senior member Shah Mehmood Qureshi is the chief guest of this episode. Khabar Naak is a infotainment program broadcast by Geo news TV Pakistan which is widely watched in local and international community of Pakistani's. Watch Geo news with Aftab Iqbal, Mir Muhammad Ali, Honey Albela, Saleem Albaila, Mater sahib, Wajid Khan, Naseer bhai challenge, Master sahib, Roobi Anam and Sophia Mirza.